Lancashire is a beautiful county with some spectacular scenery. We know not everyone’s an avid rambler, but a light walk in the local area can lead to some great memories, so we’ve chosen a few of our favourite local walks that will let you see the wonderful countryside around you without working up too much of a sweat. You’ll just work up enough of an appetite to enjoy some fine local dining. Walking along the canal is a nice, easy route, and it offers plenty of options. It’s a flat walk along the canal towpath which passes through some wonderful countryside, and you can start from a number of local places such as Carnforth, Bolton-le-Sands, Hest Bank or Lancaster. A short trip north along the canal from Lancaster will bring you to the Lune Aqueduct, offering fantastic views of its own, and from there you can double back along a wooded cycle path to the city centre, or enjoy a round trip Lancaster Canal Cruise. There are also a number of great canal walks starting from Carnforth, which you can find on the Visit Lancashire site here. Being among the countryside, the local town centres offer a lot in the way of walks. You can enjoy rural scenery mixed with old architecture and local cafés, which are a great place to stop and enjoy a refreshing drink and maybe a cake before carrying on. 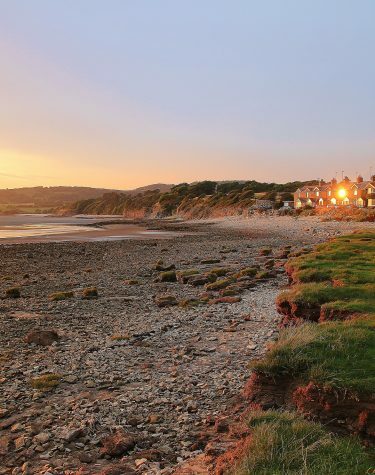 In Lancaster you’ll find that the edges of the city touch tree-lined country lanes, and of course Morecambe Promenade allows you great views of the sea, especially in the evening at sunset. Another Visit Lancashire walking guide provides an excellent route to follow around Lancaster City Centre, as well as some longer routes for keen walkers, and a shorter country walk in Silverdale. Find their excellent walking guide here. The Hawthorns Caravan park grounds are an excellent place to walk, especially if you want to get out, but don’t feel like driving. 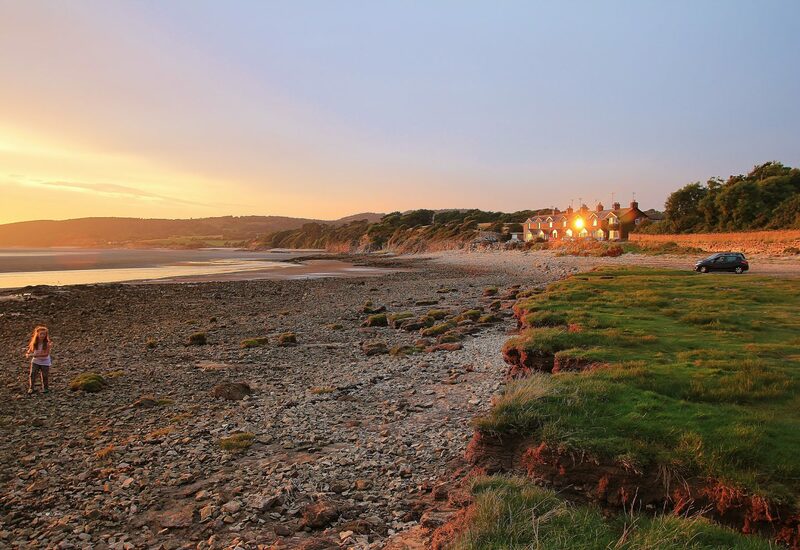 There is a lovely woodland walk, with bluebells blooming in spring time, and the wildflower meadow leads to a viewpoint that looks out over Morecambe Bay. Just strolling through the park is a great way to get out and enjoy the views over Lancashire, and the atmosphere is friendly and welcoming for that relaxed, holiday feeling.